A gender-swapped Beauty and the Beast is such a great idea I'm surprised I haven't seen staged before. Give it a moment's thought and you realise how exciting the implications are: a beautiful Princess Charming dealing with a bestial transformation, the romantic woes of a bookish young man and his having to fend off the advances of an unpleasantly egotistical (and horny) noblewoman. You'd have to try pretty damn hard to screw this up. So it's with a sigh of relief that Fat Rascal Theatre and Laura Elmes Productions more than do it justice. Essentially reworking the 1992 Disney animated adaptation, the show sees Belle become Beau (Jamie Mawson), an effete Jane Austen obsessed hipster considered an oddball by the town but adored by his lesbian artist mother. His weakness and vulnerability make him the perfect prize for Siobhan, a jodhpur wearing woman-about-town whose krav maga strengthened thighs will crack Beau like a nut. Before too long Beau is exploring a mysterious castle in search of her missing mother, criticising their tacky Tiffany candelabra and dismissing a carriage clock with a haughty "some people will buy anything". Chintzy interior decor soon proves to be the least of his worries, as he's presently faced with a ravening, furious Beast (Robyn Grant). I'm sure you know the rest of the story. By the middle of the first number, you can tell this is going to be a pretty damn great night. By the time we're halfway through the first act it's clear that Beauty and the Beast: A Musical Parody has managed the rare feat of successfully fusing of sincere gender politics and comedy. It's difficult to understate how interesting and effective (and funny) it is to simply transpose the gender of, for example, Gaston to Siobhan. Watching this egotistical woman strut about refusing to take prisoners and plainly stating her desires is a miniature revelation - the character such a breath of fresh air that you wonder why you don't see people like her on stage or, well, anywhere in fiction for that matter. Things only become more interesting the more we know about Beast. The show understands and exploits the difference between a man and a woman becoming bestial, taking the time for a couple of great asides about female body positivity (before Beau and Beast head off to shag she nervously mutters "okay, you're a hairy girl, but he knows that..."). Most importantly, every character (particularly Beast) completely makes sense as the opposite gender, to the point where you could imagine this being the original version of the fairytale. Setting the cool feminism stuff to one side, I can't overstate how goddamn funny this show is. My gold standard of comedy theatre is when the audience is laughing so much that the actors have to wait to ensure their next line is audible - something this show achieves on multiple occasions. Even when they're not bringing the house down, Robyn Grant and Daniel Elliott's book and lyrics provide at least one big laugh every couple of minutes or so, with toe-tapping highlights Have a Brunch and a surreal word salad reworking of Tale as Old as Time. London theatre is currently adrift in a sea of not very good pantomimes. 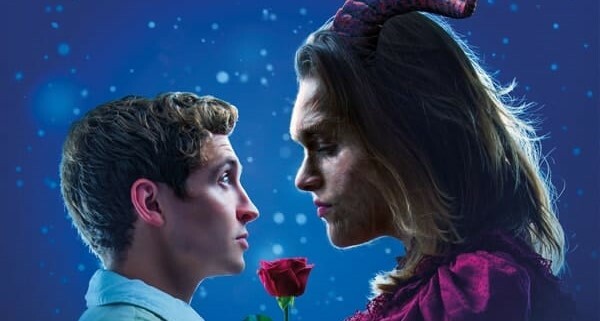 I say nuts to their tired old gags and teeth-grittingly annoying characters - if you want a genuinely great Christmas night out at the theatre then go see Beauty and the Beast. It's got an amazing cast, catchy tunes, charming set design and intelligence coming out of its furry ears and arse. 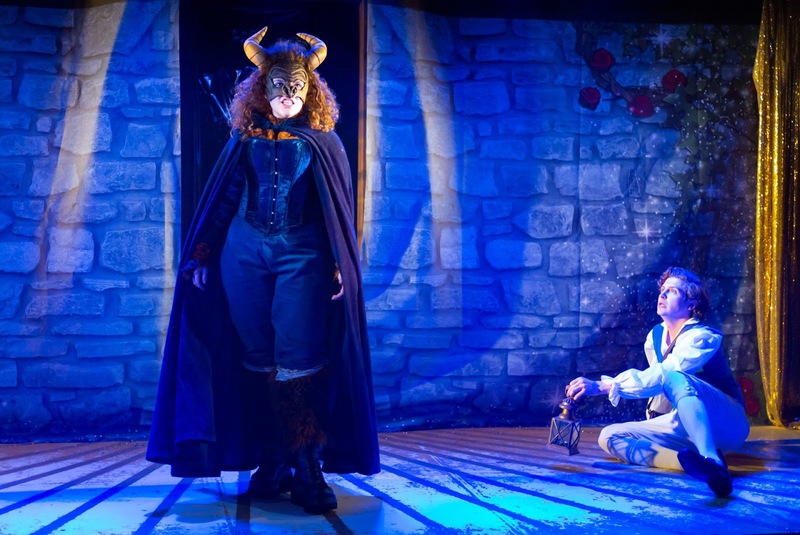 Beauty and the Beast: A Musical Parody is at the King's Head Theatre until 6 January. Tickets here.